Everything (one) shall pass. Live (with) it, when it is there, and let it go, to embrace more. Life and Art: They Inspire one another. In fact, when these forms collide, it is often the highest praise of a moment well-lived or an item well-made. 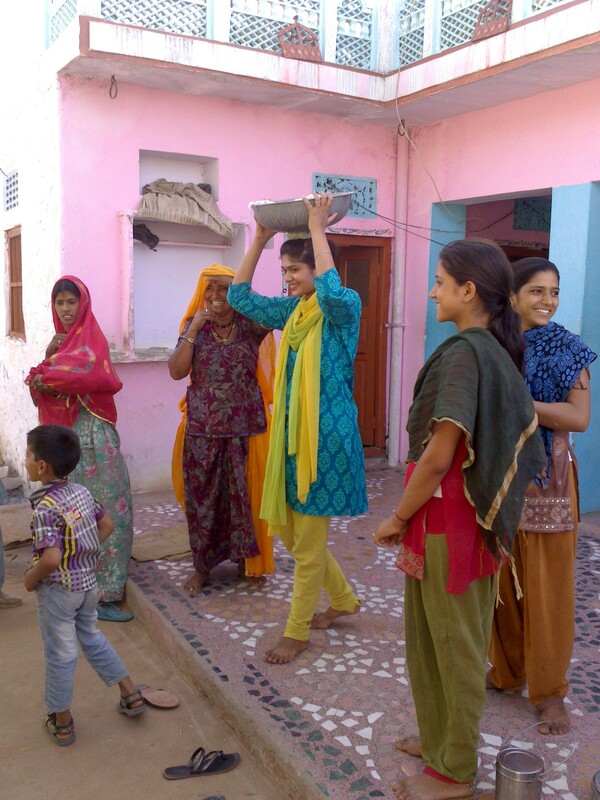 This is what happened for Astha, a Pravah intern turned youth facilitator. Perhaps the words of Leonard Cohen are fitting: “Poetry is just the evidence of life. If your life is burning well, poetry is just the ash.” Please read and enjoy Astha’s reflection on her adventures through Pravah and her heartwarming poem inspired by her own SMILE in-turn-ship journey. Hoke bekhabar. Thoda darr, thodi fikar. Karne ek mulaquaat mukhtasar, jaane kisse? Aati si kyun jati who badal? Talaab ki machli ka kya hoga sagar mei haal? (I embarked on an unknown terrain, clueless, with fear and worry leveraging my heart, in anticipation of some serendipitous encounter. I didn’t know with whom. Little was the familiarity with the journey. Brimming with questions, I traversed like a boisterous brook from this way to that. The roads assured me of companions. At every turn I felt I could finally kiss the destination. Alas! Each time it would manage to elude me. Illusions? Every answer greeted me with a new question. How would the fish of a pond fare in an ocean? My journey with Pravah has been one ‘through the looking-glass’. I derive immense pleasure from visiting the past 11 months since I first registered for the SMILE in-turn-ship. The relationship that I have built with the Pravah family, fellow travellers, and most importantly, myself, has given me a new perspective to look at life, and shape it in the process. From SMILE to Youth Addas, from Music For Harmony, Group Exposure, and other hangouts, to writing this blog, I have continuously and consciously sought and experienced rejuvenation. The most important of the myriad of realisations en route is the following: I no longer hold on to people (their physical presence) and memories. Space and Time are as much the functions of mind and experience. Everything (one) shall pass. Live (with) it, when it is there, and let it go, to embrace more. It has become less and less about adding people and experiences to my life, and more and more about living (with) them. So much so that goodbyes cease to reek of an end. It is in transience, and not permanence, that I find peace. I dedicate this poem to my journey and everybody at/through/outside Pravah who gave me the scent(s) I wear today.